There are nine different contaminates that can cause problems such as staining, taste, smell and spotting on your fixtures, laundry, and dishes. The minerals listed below are our standard mineral package. If you are wanting additional testing, ask our staff for pricing. 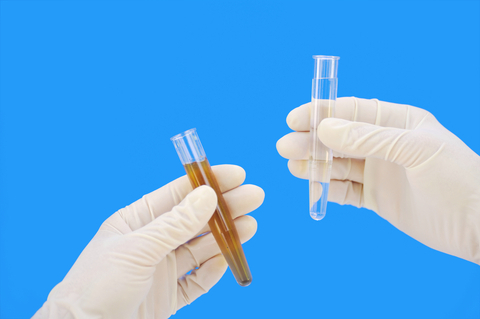 In order to understand your specific water conditions well enough to resolve any of these issues, it is critical that we have the water tested to see what these levels are in your specific water. These contaminates are not considered health concerns and can be treated with filtration. We offer a full line of water treatment equipment and service to handle most any water condition and are here for you every step of the way. We can come and take the sample and send to the lab for testing (trip charges may apply), or you can bring us a sample for us to send into the lab for testing. The lab fees are generally $85.00 for these tests to be completed. Tannins: Tannins are an organic chemical found in plants. They can turn your water to an iced tea color and leave light staining. They also can affect the taste of food and beverages. Manganese: Manganese is a huge nuisance and even in low levels it will cause Staining of household fixtures, discolored water and dark scale in pipes and water heaters. Manganese will give water an unusual taste and odor described as "musty" or "metallic". Iron: Although iron is a necessary metal for human growth, it will also cause staining at low levels. Staining and water color could be red, brown or orange and give the water a foul taste and smell. Turbidity: Suspended matter in water including mud, clay, silt and sand can ruin seats, seals and moving parts in appliances. PH: The PH in your water is a measurement of the degree of acidity or alkalinity. Low PH can cause blue to green stains on metal surfaces and can eat metal pipes. Generally for potable water, a PH between 7 & 8.5 is desirable. Hardness: Hardness will cause scale build up in pipes and water heaters causing soap curd on fixtures, tile, dishes, laundry and leave your freshly washed car spotty. Also, the harder your water is the more soap you need to use for cleaning. 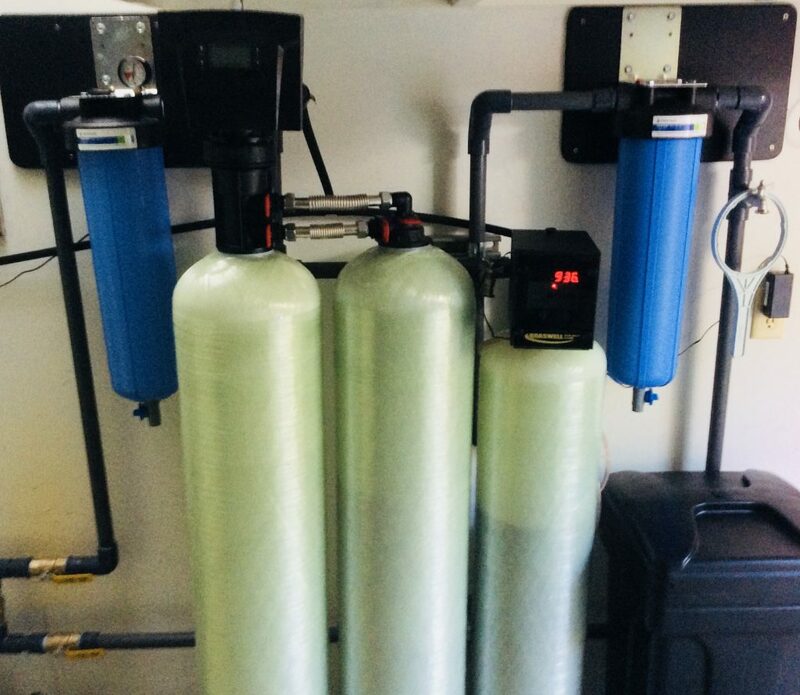 Arcadia Drilling Inc. offers an extensive line of water filtration and softeners, we are sure to have the right unit for your needs. Our experienced service technicians can work on and repair most brands of treatment products. In addition, we offer a maintenance service route. As a route customer you will receive regular maintenance on your equipment. Doing so, you will extend the longevity of your equipment with proper care that Arcadia Drilling offers. Copyright © 2015 ArcadiaDrilling.com, All Rights Reserved.